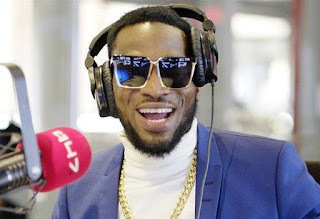 Popular Nigerian singer-songwriter, Oladapo Oyebanjo, aka D’banj, who has been dubbed one of Nigeria’s richest solo musicians, recently celebrated the first year anniversary of his CREAM platform. In this interview with Premium Times, the Koko Master speaks about his foray into agriculture, giving back to the society as well as the direction of his career. PT: Why did you establish CREAM platform? Dbanj: CREAM platform was established to harness genuine creative talents across the genres of entertainment, arts and entrepreneurship in all the states of Nigeria. The platform is not designed to sign the winners but market their content. To this end, we will collaborate with record labels to sign these talents. So, you can call CREAM the Google of African talents. I agreed to become an ambassador of Bank of Industry because they told me that they wanted to help structure and better monetise the creative industry. At the time, they did not understand how we (entertainers) ran our business. That was when I started Koko Garri and they gave us a loan of N50 million to start CREAM platform. And we were able to pay them back in six months and this was possible because in three months we had over three million subscribers. It really surpassed my expectations. PT: Tell us more about your interests in agriculture? Dbanj: We launched the agriculture project in 2014 and this opened my eyes to a lot of possibilities in this sector. I am proud to tell you that I opened my own Koko Garri processing plant where we can process cassava into garri in Sagamu last year. We are also trying to expand and I am happy with that my investment in agriculture has been on autopilot. Koko Garri is here to stay and when we want to expand we will be able to meet up with the demands of the public. Going into business and focusing on the showbiz angle of my career at the time I did, has been my greatest decision. My best career decision was not my decision directly. We all know the details so I don’t want to mention names but I know that everyone understands who or what I’m referring to.